OSWEGO, N.Y. — Oswego Speedway officials have confirmed the five-eighths-mile oval’s schedule for next year, marking the 68th season of action at the ‘Steel Palace’. The 2018 schedule for Oswego Speedway is set to include a total of 10 regular weekends of championship action for the Supermodifieds and SBS divisions, plus the 62nd annual Budweiser International Classic Weekend, Aug. 31 through Sept. 2. 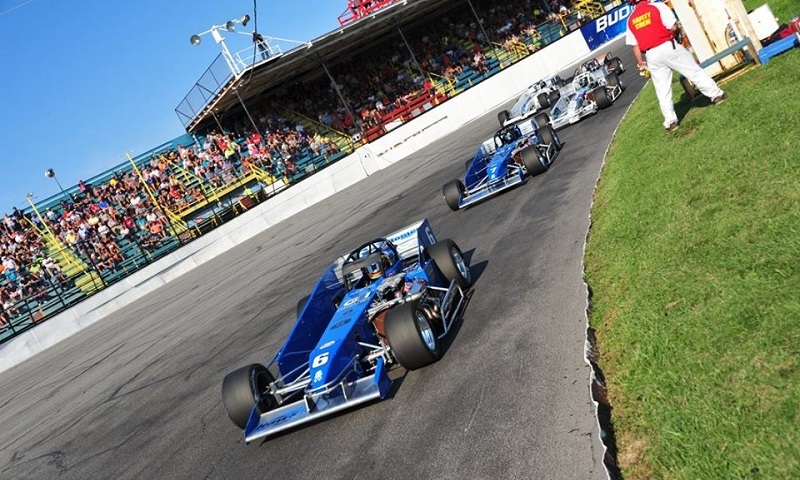 Although the schedule does not yet officially include touring series familiar to Oswego fans, such as the ISMA Supermodifieds and Race of Champions Asphalt Modified Tour among others, track management is working diligently with officials from various sanctioning bodies to put race dates together for 2018. The speedway will officially open its doors for the first time of 2018 on May 19, when open test sessions will hit the track for all 2018 divisions on the schedule. A week later, the 68th annual Opening Day will commence on May 26, which will include the Jim Shampine Memorial for the Supermodifieds and the Tony White Memorial for the SBS division. More details on what is expected to be a huge Memorial Day Weekend of racing action will be revealed in the coming weeks. With one event in May to kick off the season, championship hopefuls in the Supermodified and SBS divisions will then turn their attention to the month of June which will now see three ‘Road to the Championship’ events in 2018, although the track will go quiet on June 23 for high school graduations in the area. The Independence Weekend Special will be contested on Saturday, June 30 and will include the Supermodifieds, SBS and the fan favorite fireworks display, serving as the nightcap to an eventful evening of racing. The month of July will see two more regular events scheduled on July 7 and July 14, before the 32nd annual $10,000-to-win Mr. Supermodified and the 27th annual $1,500-to-win Mr. SBS closes out the month of racing on July 21. Following Mr. Supermodified, the track will again be off the final week in July for Harborfest festivities as well as the Sandusky Speedway ‘Hy-Miler’ for the ISMA Supermodifieds, before returning with three more championship events in August. The month of August will see a plethora of fan favorite events next season, including the return of ‘Retro Night,’ which this year is tentatively tabbed for Aug. 4, in conjunction with the ‘Old Timer’s Reunion’ at Lighthouse Lanes that morning. One more regular ‘Road to the Championship’ show will be held on Aug. 11 before the points race comes to an end on Aug. 18 with $5 admission track championship night, which will return in 2018. The 62nd annual Budweiser International Classic Weekend will close the season from Aug. 31-Sept. 2, featuring the Budweiser International Classic 200 for Supermodifieds and the Bud Light Classic 75 for Small Block Supers, both set for Sept. 2.